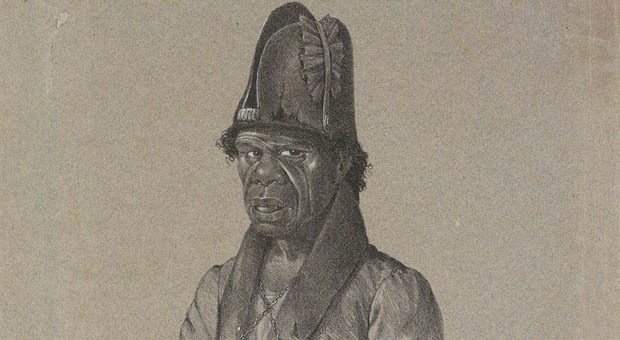 In the mid-1810s, at the same time as Governor Lachlan Macquarie was waging war on the Aboriginal people of south-western Sydney, he tried to encourage Aboriginal people along the coast to adopt a more settled existence. 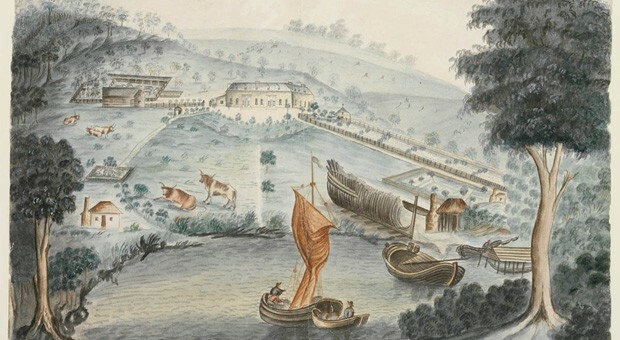 In 1815, Macquarie established a farm and village at Middle Head on the north side of the harbour to encourage Bungaree’s group to become settled fisher-farmers. 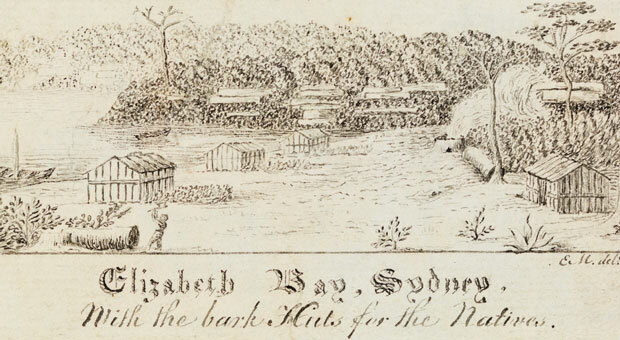 Five years later Macquarie decided to establish a similar village for several dozen Aboriginal people of the ‘Sydney tribe’ at Elizabeth Bay / Gurrajin, which became known as Elizabeth Town. Some writers at the time conflated the Elizabeth Town and Middle Head settlements, but they were two distinct places for two different groups of people. Aboriginal people were already living at Elizabeth Bay / Gurrajin before Macquarie established the village. 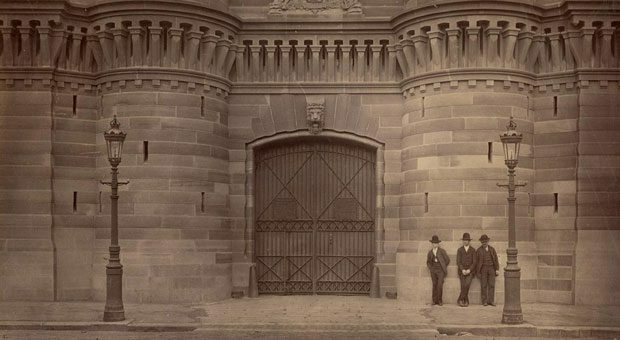 Writers at the time acknowledged that it was ‘a place much frequented and delighted in by the Sydney blacks, to a family of whom indeed it belonged’, as a number of historically documented burials in the area also shows. 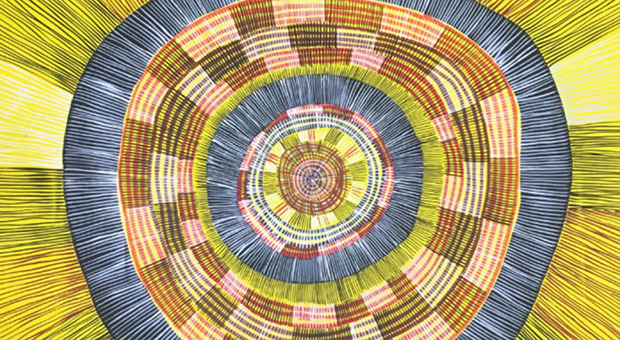 The Aboriginal people using the Gurrajin area were probably part of the same group that were known to frequent the nearby Woolloomooloo area in the early 19th century. The area used for the Elizabeth Town settlement was said to have been granted to a convict named Patrick Welsh years before in 1809, who had apparently lived there until selling the land to Assistant Commissary, Frederick Drennan, in 1819. Drennan later claimed that Macquarie had unfairly appropriated the land to establish the Elizabeth Town Aboriginal village, though his claim lacked proof of Welsh’s original ownership, and was also made in the midst of a dispute with the colonial administration over fraud charges that had seen Drennan lose his job. At any rate, the claim was never accepted and did not impact the use of the area by Aboriginal people. On 28 of March 1820, Macquarie and his family and ‘three boats full of the natives’ rowed to Elizabeth Bay / Gurrajin to select the location of the village. 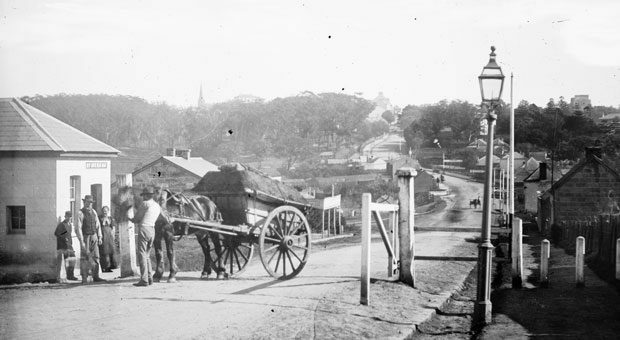 The site they chose was behind the sandy beach of the bay, in present-day Beare Park, Elizabeth Bay. As local resident Obed West later described, ‘bark huts were erected about the bay for their use, and two assigned men appointed to look after the settlement.’ Residents were also given a fishing boat and tackle and salt and casks to preserve their catch. A number of Aboriginal people came to live there over the next few years, including well-known Sydney identities, Thomas Tamara and Mahroot. The idea of a settled farming life, however, had little appeal to Aboriginal people, who could still feed themselves by fishing in the many bays of the harbour. After Macquarie returned to England in 1822, Aboriginal people used the village less and less, and by late 1824 it had been completely abandoned. In 1826, the land was granted to the Macleay family, who set about building Elizabeth Bay House, which still stands today. The remains of the Elizabeth Town village were located downslope from the house, near where the kitchen garden was established. 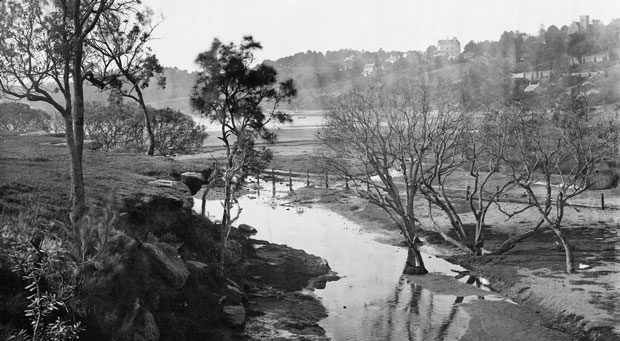 There was no Aboriginal settlement at Elizabeth Bay / Gurrajin after the house was built, but Aboriginal people visited occasionally, such as in 1838 when a tribal contest between Aboriginal people from the Shoalhaven and Wollongong was held there. They also continued to live in other settlements nearby at Rushcutters Bay, Barcom Glen, Woolloomooloo and The Domain. Visitors to Beare Park today can view historical interpretation about the Elizabeth Town Aboriginal settlement, although it is difficult to imagine what the area was like almost 200 years ago.